DUBAI, UNITED ARAB EMIRATES - FEBRUARY 18, 2018: Dubai Marina Dhow sightseeing dinner cruise, UAE. 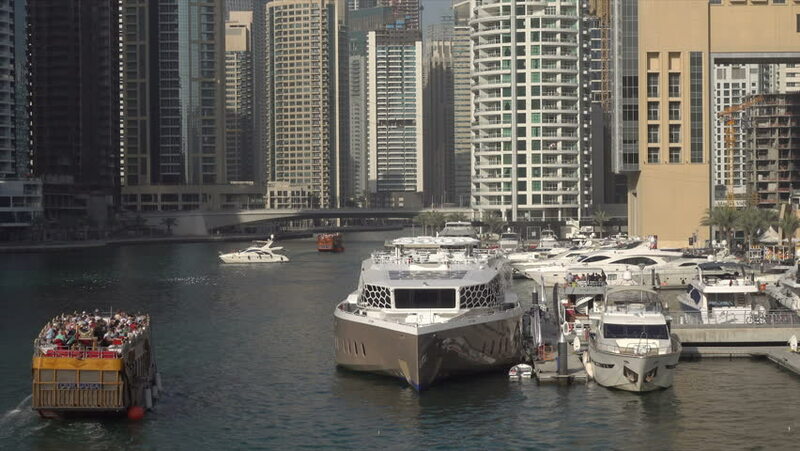 Dubai Marina is an artificial canal city. hd00:19NEW YORK - SEPTEMBER 03: Tug boat and barge travel on the Hudson River with the midtown Manhattan, New York City skyline in the background on September 03, 2014 in New York. hd00:30Looking across False Creek at Yaletown condominiums from the south shore. Paddlers practice in dragon boats as a running race takes place in the background. Vancouver, British Columbia, Canada. 4k00:22MELBOURNE - NOVEMBER 2015: City port and Etihad stadium. Melbourne attracts 10 million tourists every year.